Unique, garden hose-based mechanical delay device, captured as a plug-in. Designed by Duane H. Cooper and Bill Putnam, the Cooper Time Cube was a garden hose-based mechanical delay device introduced in 1971. It has achieved cult status as the most unique delay ever made. Famous for its spectacular short delay and doubling effects — as well its uncanny ability to sit perfectly in the mix — the Cooper TIme Cube is as character-filled a device as you will ever find. The Cooper Time Cube MkII plug-in for UAD-2 hardware and Apollo interfaces is an exacting emulation of this utterly original, and usable, device. By capturing the sound of the original delay system, while offering modern delay features, the Cooper Time Cube MkII plug-in is a versatile, fat-sounding space maker without equal. In this video, learn how to widen a Wurlitzer, add vibey slapback to guitars, and synchronized delay trails on a vocal with the Cooper Time Cube MkII Delay plug‑in. You don't need this but you'll want it. It has a unique sound unlike any other delay I've tried. However, it would be useful if we could see the values ? ?of the buttons. So I always have to switch to the generic control panel of Cubase 7. The marks on the buttons are a bit too small. very very good at getting precise increments of delay time dialed in. also very good at adding subtle width wherever you may see fit. Not just your regular delay..
First and foremost, this is an extremely effective tool for widening the sound field. Secondly it is a different sounding delay module, with really effective filtering. Initially I didn't get it, now I couldn't work without it! Just love this plugin. I have a few different delays, but this one is overall the best and often come back to this after trying others. The immediacy of it makes it a breeze to use and it just sounds great! Never used the original so can't comment on it's authenticity but who cares! I use it on vocals, drums (mainly snare), acoustic / electric guitar. Pretty much works on anything in a lead or backing context. Awesome! Nice sounding delay, good for the usual subtle delay stuff, great slap back but if you go mad with it you can get some great looping effects, it becomes a bit of an instrument. Good stuff. This is one of the better delay/doublers I have used. It has an organic feel and always feels within my control. I agree with those who praise it's quality of sitting well in the mix. I did not know exactly what to expect from a plugin meant to model a garden hose. However, it has come to be my favorite snare drum enhancer of all time. 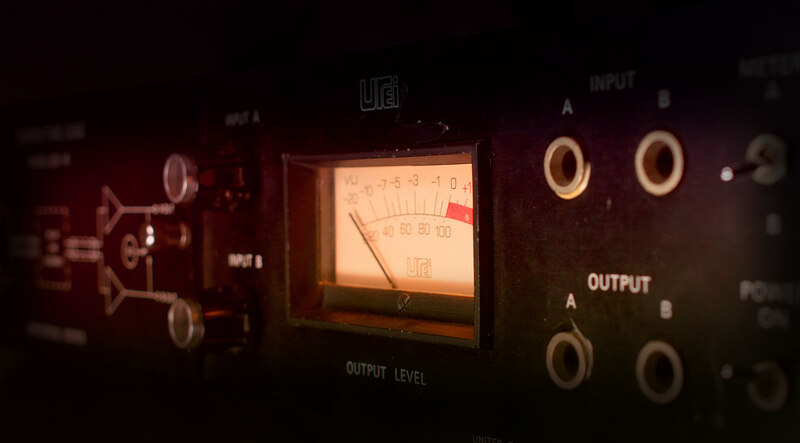 It adds heft to drums while providing as little or much delay to each channel as dialed in. Very nifty! The Cooper Time Cube MkII made my life a lot easier and more fun, too. From subtle to extreme there are lots of options to get creative juices flowing. The ability to create space around a singer or instrument with two different very short delays gives outstanding results. You won't even notice that it is there until it's gone. No Handbook needed - instant fun! I love the cooper time cube. When I saw the video Fab did with Joe Chicarelli I was blown away by what it could do for a vocal. After getting the apollo i got the plug in and was blown away how easily i got to the same settings he used for the Young the Giant song. My clients always smile when I hook up this plug in. UA ROCKS!!! I purchased this as I got a coupon. I've never used the hardware so I didn't know what I could expect. Next day I had a mix down session. I need a kind of stereo spread short delay. Tried some thing else first, tried Roland Dimesion or CE1, they didn't sound right for me. Put this Coopers in. Wow, everyone in the mix room say "That's it!" . Job done! Can't explain technically. just great sound. Must have for me now. I've been looking for a delay for quite a while that is easier to get the results I've wanted. Dials that allow for more precise manipulation of the left and right delay time. Delay that's not muted and muddy. This unit has a nice clear delay and is quick to set. Nice pre-sets as well. This plug-in produces a very pristine (yet, not harsh) sounding delay. No muddiness or unwanted artifacts are left behind. If you have the Cooper Time Cube and the EP-34 tape delay plug-in, you're set with all the delay flavours you could possibly need to create great sounds! I personally use this delay unit the most out of 8 different delay plug-ins as I focus on R&B, Rap and new-age Soul music and most of the time I am looking for clean delays that are easy and quick to use. I do not have anything negative to say about this product! My go-to Haas Effect maker. One day I played with this and you can actually hear the garden hose clear as day on one of the settings. That was bizarre. Every project since i bought it. A-m-a-z-i-n-g ! Even though it's a crime for this plug to not have a wet/dry knob, I still give it five stars. My favorite delay plug ever, without a doubt. Insanely strong at beefing up vocals or creating long, quirky delays. Feed this into the EMT Plate 140 and put some diapers on! Am I missing something, but I compared this with the Roland Space Echo for both reverb and doubling effects and the Cooper Time Cube sounded much better for the doubling of vocals. Why all the comparisons with the Roland units reverb only? I much preferred the Copper Time for doubling and it was the best effect for that use that I've heard so far. So, if you're looking for a great vocal doubler, look no further. If you prefer the reverb of the Roland that's another question.